From embroidered bags to statement earrings and summer dresses, everyone is going bananas for fruit adorned attire. During the Summer, I love fun and trendy patterned clothing- hello stars and fruit! Lemons, bananas, cherries, strawberries, and pineapples- everyones favorite fruits are making an appearance on literally ever item of attire this Summer. I purchased this dress from my favorite store ever, yes you guessed it- Madewell. I bought this right before I went on my trip to Europe, and could not resist taking it with me. Of course, the one day that I chose to wear this dress, it rained and I did not get great photos of it. I have already worn it multiple times, and I love the vintage vibes and the sleeves! 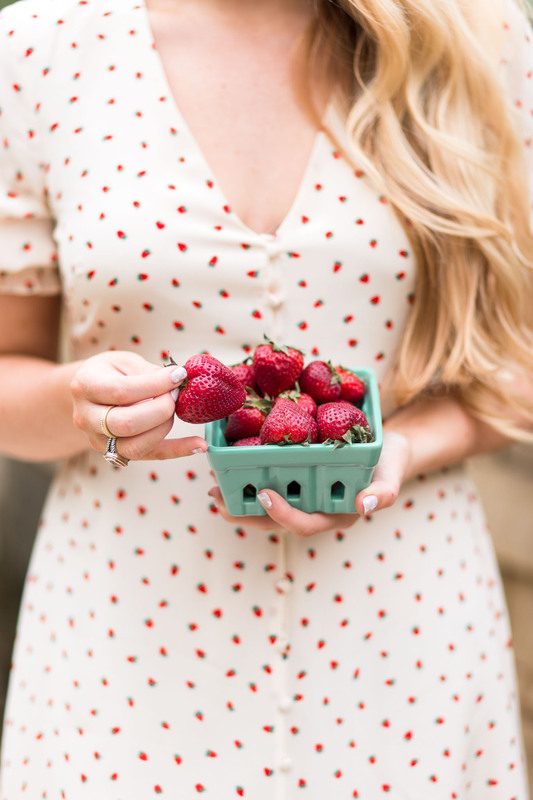 This strawberry print is so fun and a signature of Madewell this summer. They have button downs, earring, scarfs, and tops all adorned with strawberries. Like stars, I would be lying if I said that it was easy for me to pass up ever piece of clothing that had a strawberry on it. It is such a trendy and fun dress, that was so easy to dress up with a pair of wedges, and down with a pair of cute mules and sneakers! 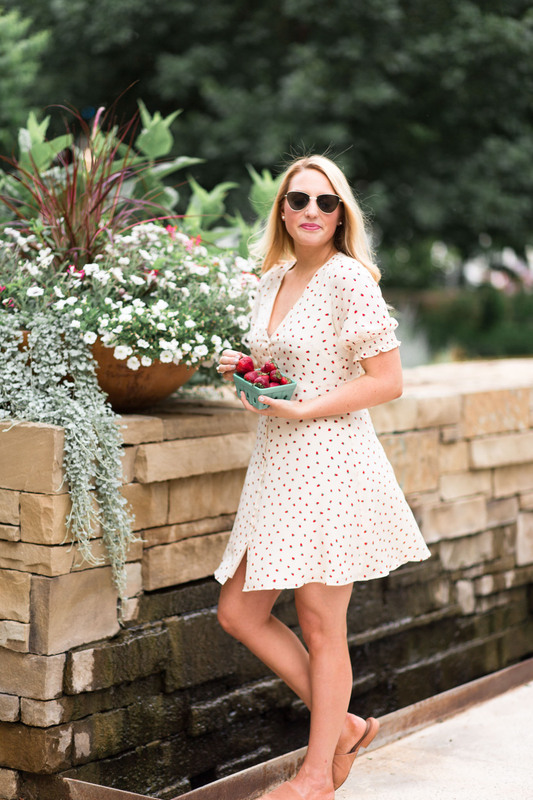 Below I have rounded up al of my favorite bold fruit print items this Summer from accessories to dresses! What fun Summer prints are you loving? 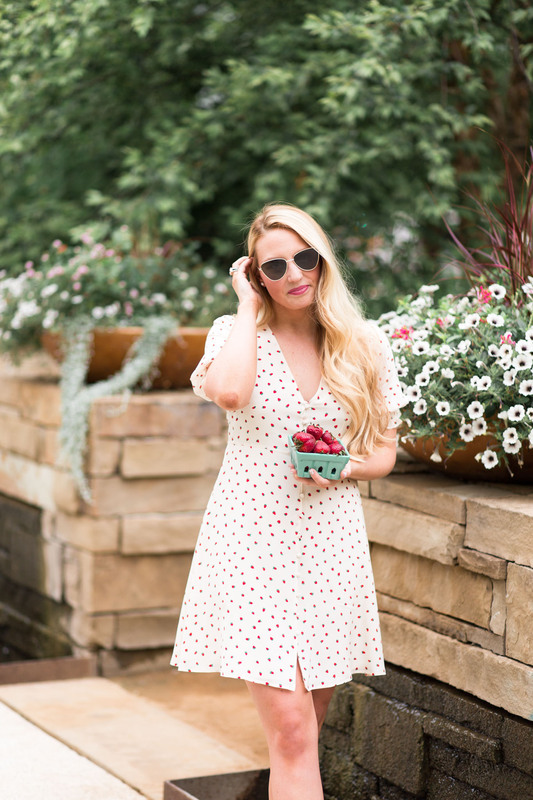 I am berry obsessed with stars + strawberries this Summer!